A tweet from Dr. Dave Guiles, executive director of Encompass World Partners, this morning has announced the appointment of Barb Wooler as Director of Emergency Relief Efforts for the Central African Republic. She will be guiding efforts to place 1,000,000 pounds of food in hands of needy Central Africans over the next 12 months. 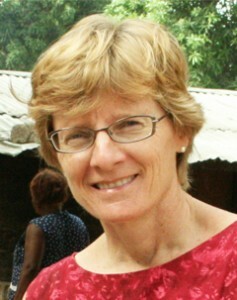 A long-time missionary in the Central African Republic, Wooler is the director of Project Hope and Charité, the orphan care ministry in the CAR. Watch this site for additional details as they are announced.